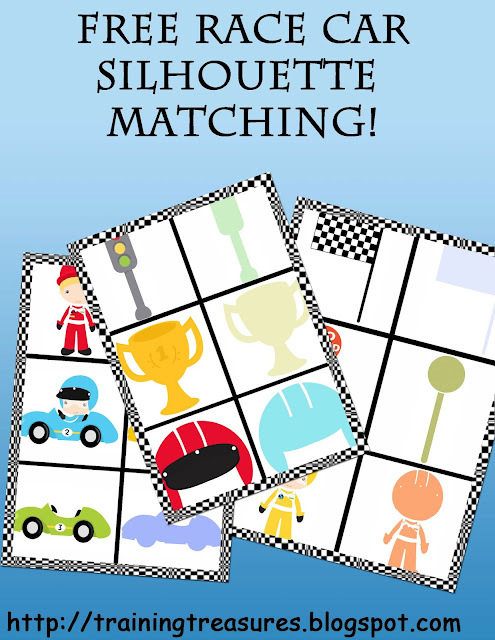 Training Treasures: FREE Race Car Silhouette Matching Game! Free educational ideas and resources for educators and parents. 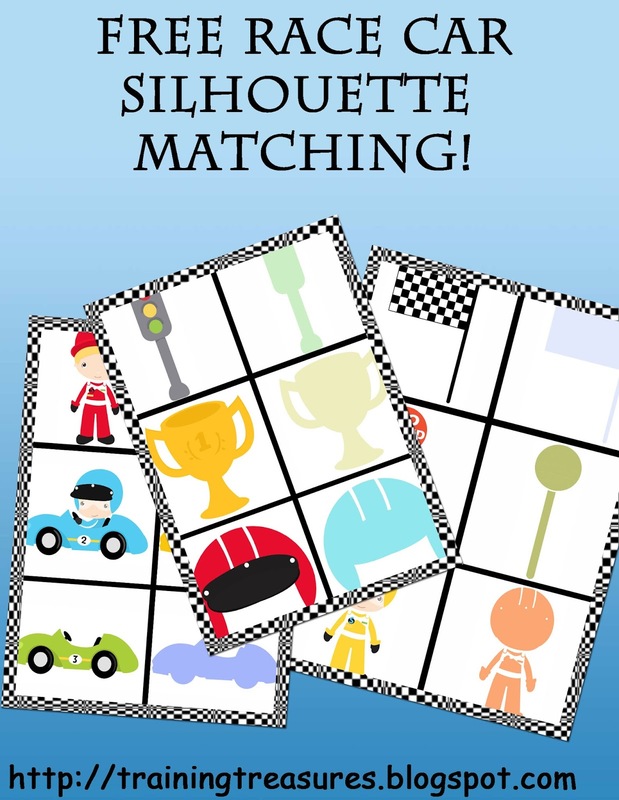 FREE Race Car Silhouette Matching Game! My little one LOVES matching games! He can't wait to get his hands on this one! I just printed the 3 pages of race car cards, laminated them, and cut them out! He is begging to do school, but he has to wait ;) It is Sunday after all, and this Mama needs a break too! Visit my TpT store to grab your free download! Please leave feedback or comment below! 18 Race Car Counting and Skip Counting Puzzles! 3 FREE Christmas Roll and Cover Games! 2 FREE Christmas Bell Addition Games! 7 FREE Skip Counting Puzzles! 10+ FREE Christmas Do-a-Dot Pages! FREE Race Car Counting by 5's Number Puzzles! Race Car Board Game FREEBIE!